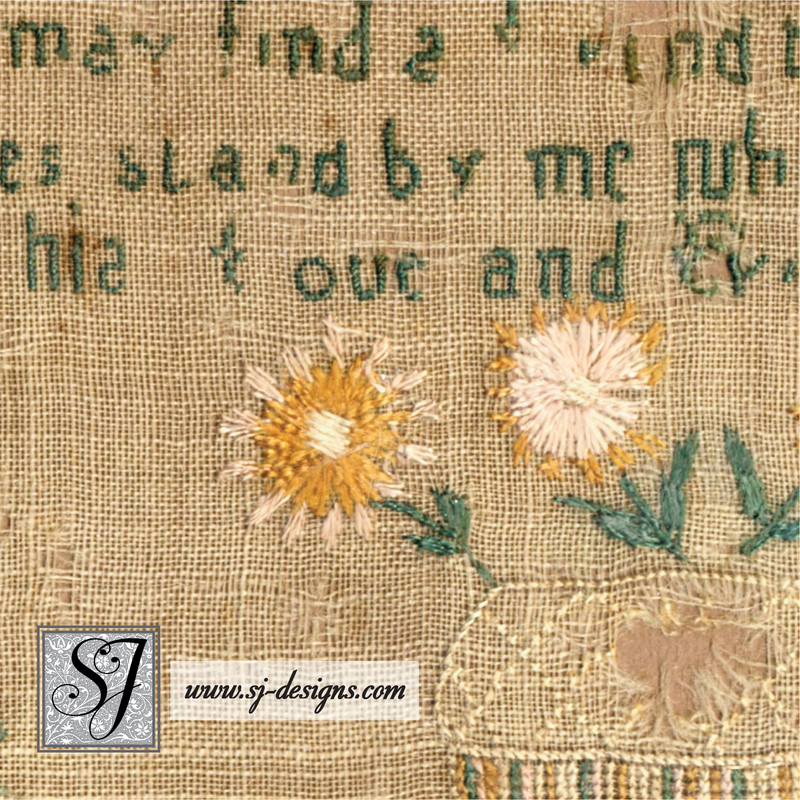 Mary Gollons was only 11 years old when she stitched this sampler in Lincolnshire England in 1812. She was obviously already a accomplished needlewoman allowed to use expensive silk threads and capable of executing a wide variety of stitches! 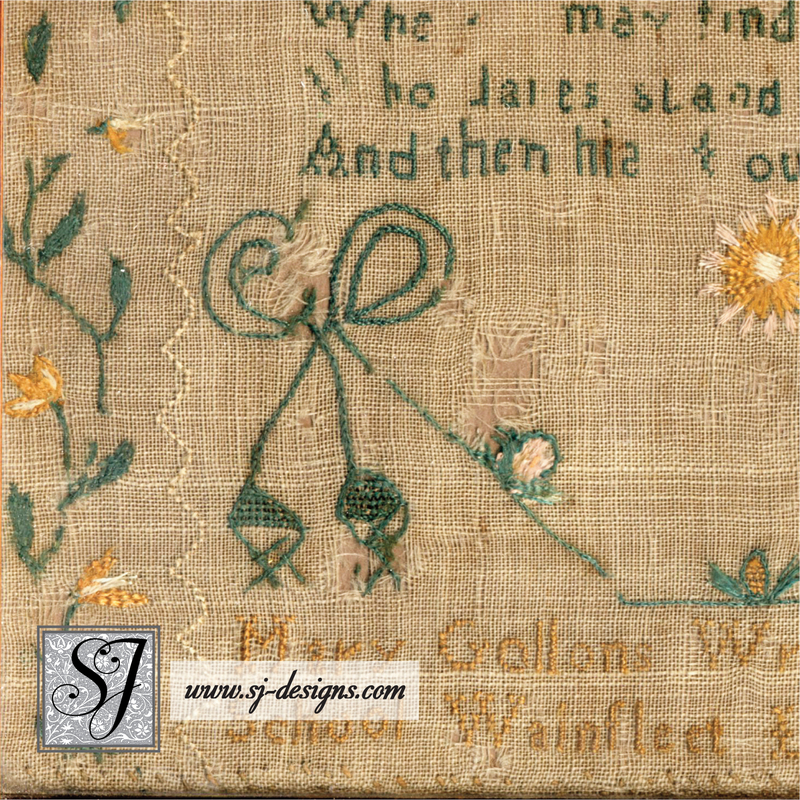 The poem reads “Tell me ye knowing and discerning Few / Where may find a Friend both firm and true / Who dares stand by me in deep Distress / And then his Love and Friendship most express.” The bottom of the sampler reads Mary Gollons Wrought this Sampler at Mrs Barron School Wainfleet Lincolnshire aged 11 years 1812. 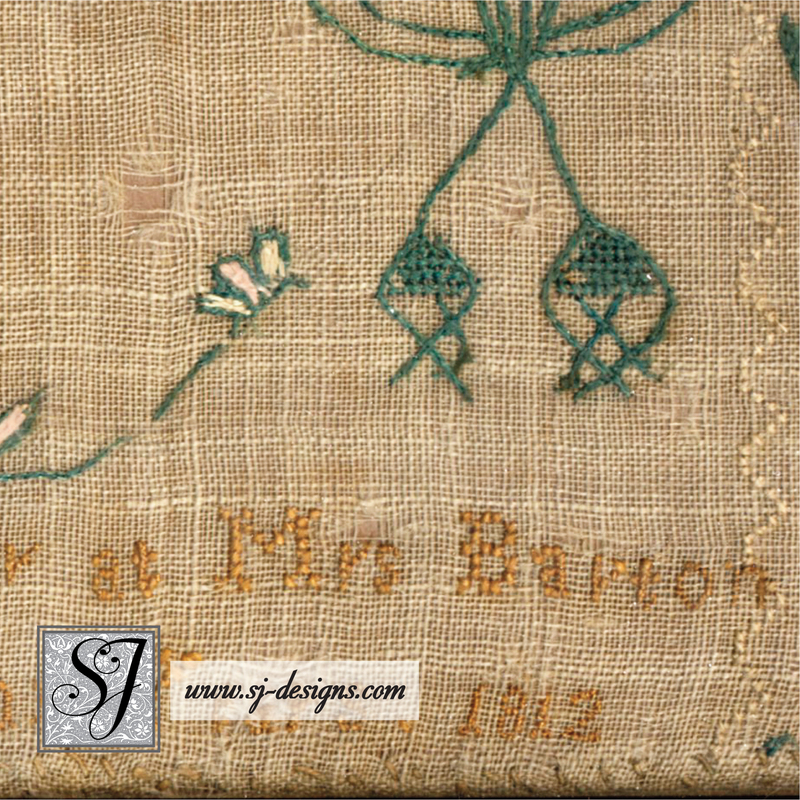 The lower case “W” is very unusual, resembling an upside down U connected to another U, or a sidewise S. Most of the sampler is stitched with tiny cross stitches worked over 2 threads but the flowers are satin stitch and chain stitch is used for the vines and bows. 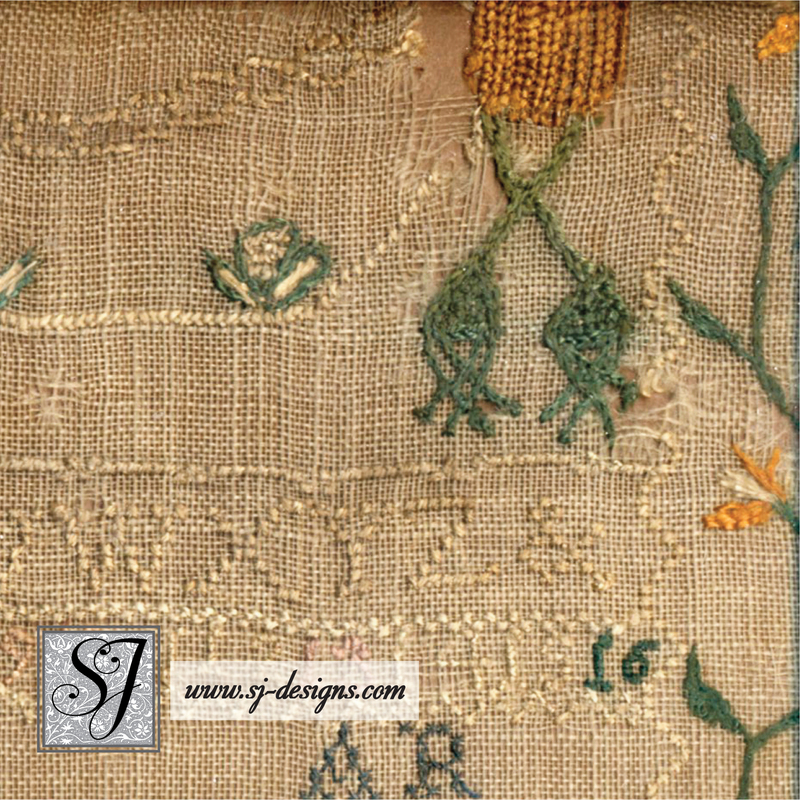 The condition is fairly good with some stitch loss (mostly in the green silk stitches) and several holes of varying size, most notably one in the center of the flower basket. 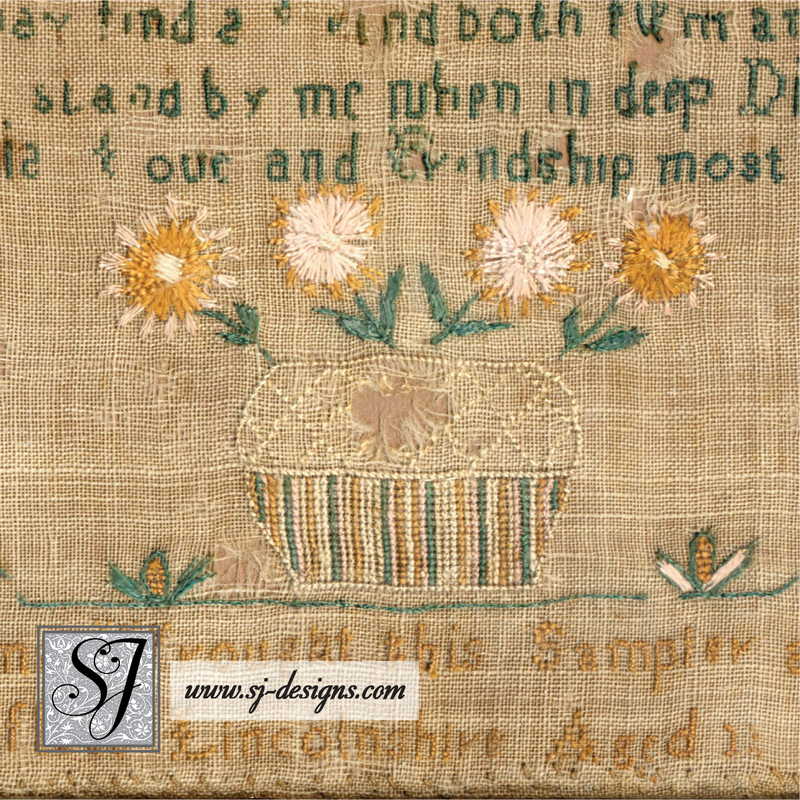 The shadowy vertical line just right of center is on the photograph, and not actually present on the sampler itself. 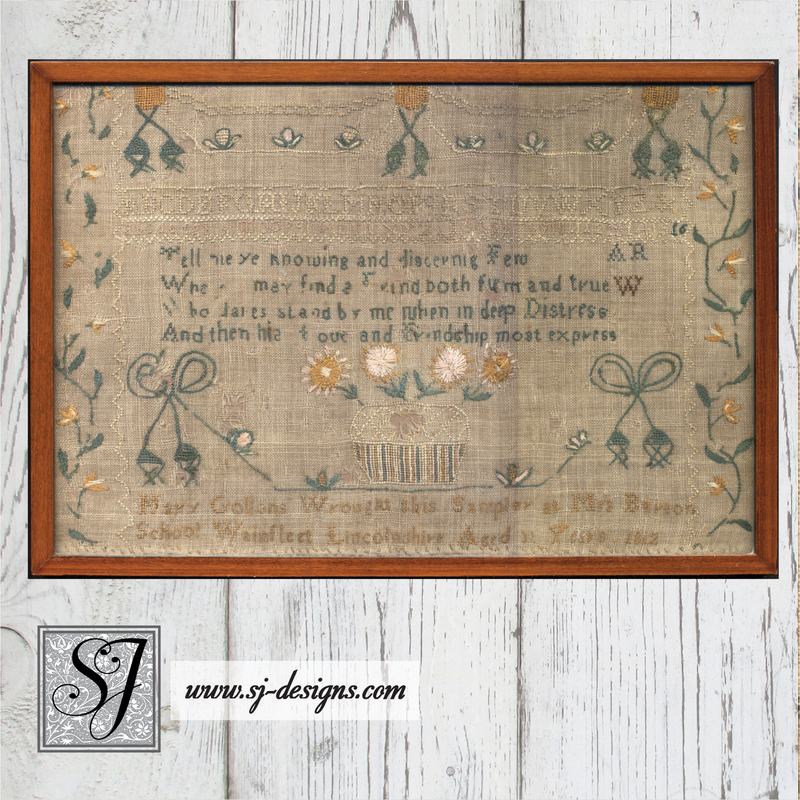 The visible embroidered area measures 8-1/4″ high by 12″ wide, with the frame measuring 9″ high by 12-3/4″ wide. The solid wood frame is attractive and in good condition, ready to hang. 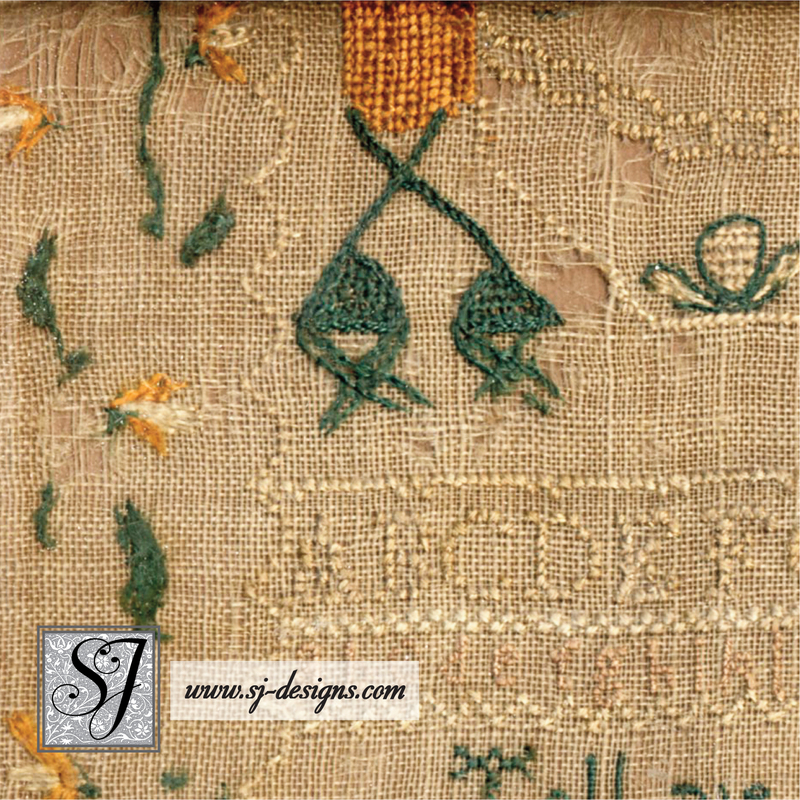 The back has two metal eyelets with cord stretched between them for hanging.